Born in Germany as Heinz Lachmann, Hans Lachman started his musical career in film music and light music. After World War II, which he survived by hiding in the province Limburg, he began composing in a modern classical idiom, building up a considerable oeuvre, including Jewish liturgical music. It is hard to believe that his music, so frequently broadcasted, was later completely forgotten until 2008, when his scores were discovered in a damp garden shed. Heinz Lachmann was born in Berlin on March 7, 1906, son of Sigmund Lachmann, a physician and Emma Löwy, a pianist who had studied at the Stern Conservatory in Berlin. She gave him his first piano lessons. When his father died, the family ran into financial difficulties and his piano teacher Eugen Tetzel offered to teach him free of charge. Embarrassed Heinz refused; no one in his family believed in a career for him as a musician. In the 1920s he enrolled at the university to study mathematics and physics. To finance his studies, he played the trombone. His professors, to name only a few, were the likes of Albert Einstein, Niels Bohr and Max Planck and they predicted a successful scientific future. However, Lachmann chose for music. In 1930, a major record company offered him a position as arranger of light music for the orchestras of Dajos Béla and Otto Dobrindt. Lachmann played several wind and keyboard instruments. As of 1930, he worked for Sid Kay's Fellows, Berlin's first jazz band and “house band” of the renowned swing society Haus Vaterland. At that time he worked as musician and arranger for the Nelson Revue, record company Lindström and film company ufa. In 1931, he married Tea Warszawski, an illustrator. Shortly after the National Socialists' seizure of power in 1933, they fled Berlin. They settled in Amsterdam, on the Haarlemmermeerstraat 62-II and Heinz joined the Tuschinski orchestra led by Max Tak, working as a trombonist and arranger. In 1935, son Michael was born. Through mediation of Max Tak, he wrote the soundtracks of more than ten films, including Het meisje met den blauwen hoed (1934), De kribbebijter (1935), Comedie om geld (1936) and Kermisgasten (1936). For the film Op stap (1935, with Louis Davids and Fien de la Mar) Lachman and Tak composed a spectacular rhapsody for twelve pianos. He atrracted some attention from Hollywood; Metro Goldwyn Mayer invited him to come and work for them. Lachman, however, chose to stay in the Netherlands. In 1934, he arranged the music on a LP for Jack and Louis de Vries (The Internationals) and made a guest appearance on an album of The Ramblers led by Theo Uden Masman. Up until World War II, he worked for several years in the Snip and Snap Revue. 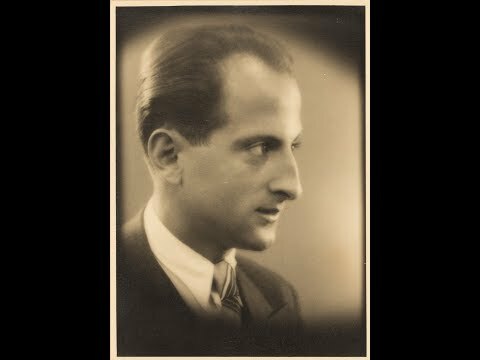 In 1941, the anti-Jewish regulations of the Germans were implemented and he then joined the Jewish Entertainment Orchestra (led by Bernard Drukker) and worked as trombonist and arranger until the summer of 1942. Its members previously worked for the broadcasting orchestras and now they accompanied various Jewish soloists like Johnny and Jones. 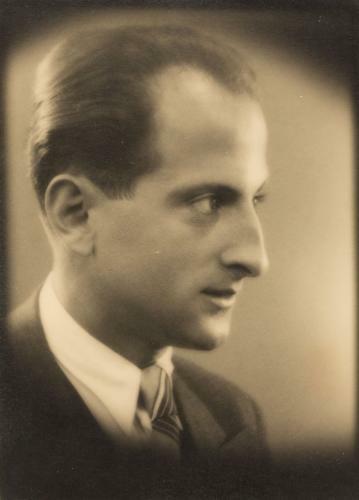 Lachman also played in the Jewish Symphony Orchestra. As soon as they were ordered to sign up for Westerbork, the family went into hiding in Limburg. Pastor Henri Vullinghs provided the family Lachmann with underground addresses in surrounding villages. Son Michael was the first to leave, accompanied by Mathieu Smedts, a resistance man. Later, the pastor took his mother in the middle of the night to a crowded shelter in the woodlands. Pastor Vullinghs held her hand because she was afraid. To calm her down, he was joking about “a dark forest and walking hand in hand with a strange man.” This helped. Vullinghs was a unique clergyman; Michael remembers him rope-skipping with the children. In the village Hans Lachman was known as “Jo.” The foster family sat in silence at the table while Jo was writing music. The Lachmans were never together at one hiding address. At that time Michael thought that his parents, when they came to visit him – separately or together – still lived in Amsterdam. They were freed in 1944. Pastor Henri Vullinghs paid with his life for his humanity and courage. He was arrested in his own parish near the church of Grubbenvorst. Shortly before the liberation he died in Bergen-Belsen. After the war, Lachman composed a Requiem for Vullinghs. It might seem unusual for a Jewish composer to write a Requiem Mass, but Lachman's gratitude was enormous. On May 4, 1960, the Mass was performed in the jam-packed church of Grubbenvorst, and broadcasted live on the radio. After the war, Heinz Lachmann changed his name to Hans Lachman. Six years later he became naturalized as a Dutch citizen. Again he worked in the field of light music, initially with The Grasshoppers and Cor Perez, and later as arranger, pianist and ensemble leader for the radio. He wrote arrangements for the Metropole Orchestra conducted by Dolf van der Linden, Hugo de Groot's orchestra, and for his own band the Melodia Sextet. The reviews of his work as an arranger were unanimously enthusiastic. Newspaper De Waarheid of April 1, 1952: “Hans Lachman is one of the few who knows the limits of arranging, with great taste and skill, always respecting the original music.” He wrote the soundtrack for Gabri de Wagt and Bob Uschi's documentary about the Delta Works. This film was the Dutch entry for the Prix d'Italia in 1956. In his own compositions, he focused on a contemporary classical style. Around 1950, he established the Ensemble Lachman, consisting of wind players from the Concertgebouw Orchestra. His second ensemble, Moments Musicaux, was expanded with string players, also members of the Concertgebouw Orchestra. His music became progressively modern and he wrote a large and varied oeuvre, regularly performed by the radio orchestras and ensembles. As a soloist with the Omroep Kamer Orkest (Broadcasting Chamber Orchestra) he played his own Variations for trombone and string orchestra. In collaboration with journalist Evert Werkman as librettist, he composed for the avro radio the Amsterdam Cantate. A radiophonic work scored for choir, orchestra, four vocal soloists and an urban soundscape with car horns, bicycle bells, street organs and carillon. Music journalist Leo Hoost reviewed the cantata in the niw (the New Israeli Weekly)as a moving masterpiece. Amsterdam was broadcasted several times on Dutch radio and in Italy, Belgium and France. It is written with full understanding of the nature of the instruments, but above all interesting and entertaining, quite to be expected from such an experienced professional; it is a major work, challenging for even the best Gypsy musicians, and therefore it is a remarkable exception to what we normally hear in modern string quartets. Lachman played a practical joke on April Fool's Day in 1959. In the ncrv radio studio, composers Ton de Leeuw and Jan Wisse were invited to talk about twelve-tone music. First on the program was Webern, which they both liked, followed by strictly dodecaphonic music by the unknown Banco Strelineric. It was completely torn to pieces mainly for lacking soul. Which was totally accurate; the music by Benkho Strelineric (anagram of Elektronisch Brein (electronic brain)) was Lachman’s electronically generated piece. From 1958 to 1968, Hans Lachman worked for the Liberal Jewish Community in Amsterdam as organist, choral conductor and composer. His cantata Stammen van Israel (Tribes of Israel), on a libretto by Rabbi Jacob Soetendorp was broadcasted by avro radio in 1967, with the Radio Chamber Orchestra and Cora Canne Meijer and Harry Ereira as soloists. The subject is the Jewish history in the diaspora, narrated by the tenor, with the mezzo-soprano expressing hope, despair and fulfillment of the dream. Lachman also processed sound effects in this radiophonic cantata. In his last years, like many other Dutch composers, Lachman gradually fell into oblivion. His compositional style missed the connection with modernist atonal music that became fashionable in the 1970s. After his death in 1990, his music was no longer heard on the radio or in concert halls. In 2008, flutist Eleonore Pameijer, after receiving a tip from Lachman's granddaughter Shirah, and a recommendation from jazz musician Willem Breuker, paid a visit to Hans Lachman's son, Michael. He had stored his father’s complete oeuvre in an orange crate in a slightly damp garden shed. These manuscripts were eventually transferred to the Dutch Music Institute in The Hague. Hans Lachman was well-trained in counterpoint. Bach was a clear source of inspiration for him. His compositions are firmly rooted in tonality, but with frequent use of chromaticism, often reminiscent of Hindemith. His works are technically very well written for the specific instrumentation and he often used a classical form.